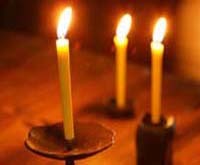 In Europe and America, candles are often used in their daily lives; I hear they put candles on their dining tables. 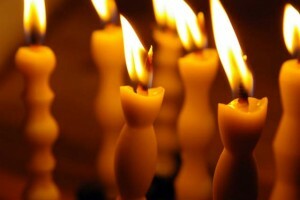 In Japan, we hardly use candles in our daily lives except for aroma candles, which are popular among especially women. Although regular candles are not used so often here, I found that there are wonderful Japanese candles made by following the traditional method. To learn more about Japanese candles, I asked the characteristic of Japanese candles to Takazawa Candle, a candle company in [W:Ishikawa Prefecture]. —What is the characteristic of Japanese candles? This company makes unique candles, for example, look at these pictures. —Why are they in strange shapes? These candles are named “Nanao” and released five years ago. When we exhibited at an interior trade fair in Paris, we produced this candle series based on the characteristics of Japanese candles. The candles made in Japan? Or candles in unique shapes? There are reasons for the unique shapes, but firstly, the creators in old time thought the shapes were beautiful, that’s one of the reasons. The hearts that felt the posture of standing still was beautiful created the unique shapes of Japanese candles. Now, what are the beautiful shapes for people today? 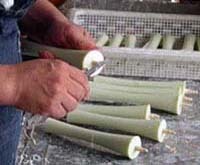 The biggest characteristics of Japanese candles are the “wick” and the “raw material”; both are made from “plants”. It can be said that Japanese candles are almost all made from plants. That is why; we got inspiration from plants’ shapes to design the shapes. While the materials and the manufacturing method are the same as what our predecessors used, the candles are in the shape that people today think beautiful. 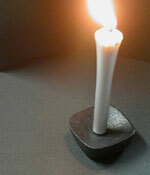 By the collaboration of the predecessors and people today, “Japanese Candle Nanao” was born. Through the interview, I learned what Japanese candle is. I like the fact that they are made from plant materials. Actually, they said that “plant-made” candles attracted people’s interests when the company exhibited the candles at a trade fair in New York. I was also very impressed by the story behind the “Nanao”; that there was a deep philosophy in the unique shapes. 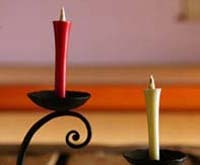 Please tell me about the candles that you use in your country!